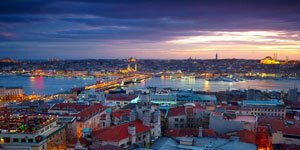 Depart for Istanbul on an overnight flight. Enjoy the in-flight services and entertainment. 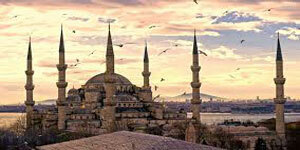 Upon arrival at Istanbul, city tour includes the Blue Mosque with its unique six minarets, Hippodrome Square also known as Sultanahmet Square and St Sophia Museum. Next we visit the magnificent Topkapi Palace. Lunch at Topkapi Palace, drive to Gallipoli Peninsula. Cross the Dardanelle Straits by ferry to Canakkale. Dinner in a local restaurant. 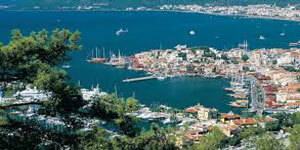 Drive to Homer's Troy to visit the ruins of nine cities. After lunch, journey to Pergamon to visit the Acropolis, Temples of Trojan and Altar of Zeus and the Asclepion, dedicated to the God of Health Asclepios. Travel by coach to Ephesus. Amongst the ruins is Artemis, whose temple was considered one of the seven wonders of the ancient world. 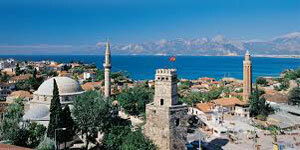 Continue to Hierapolis and visit the ancient site. Today, we travel to Cappadoccia. 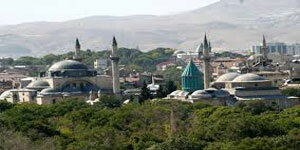 Enroute we stop at Konya to visit the Mausoleum of Mevlana. Then visit a Seljuk Caravansary, forerunner of the present-day inns and hotels. The underground city of Kaymakli used by the Christians of the 7th century. 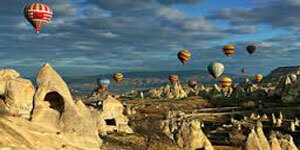 Continue to Zelve Valley with fairy chimneys lining the road, Avanos and the conical cave-home in Uchisar. 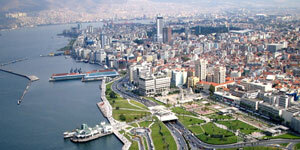 Travel by coach to Ankara, the capital of Turkey. 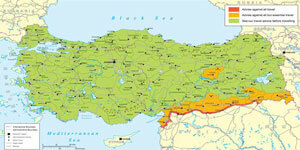 Proceed for a	orientation tour of Ankara and Mausoleum of Mustafa Kemal "Ataturk". The museum houses a superior wax statue of Ataturk, his belongings and photographs. Depart for Istanbul. 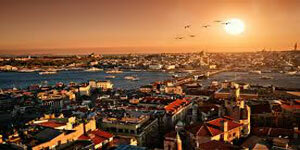 Upon arrival in Istanbul, visit the Grand Bazaar, one of the largest covered market in Europe. 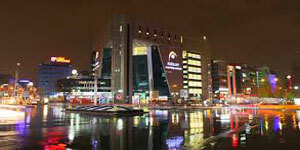 It houses over 5,000 stalls where all sort of products from T-shirt, gold, silver jewellery are sold. Transfer to airport for the return flight to Singapore. Note : If any of the stated hotels are not available, an alternative hotel of similar standard will be arranged. English speaking professional guides. Entrance fees to sighs as indicated Tips to restaurants and hotels.